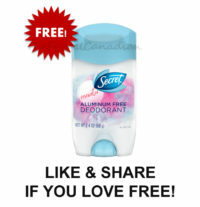 Free Secret Aluminum Free Deodorant Sample Packs – Get Freebie Register and get a FREE Secret Aluminum Free Deodorant sample! 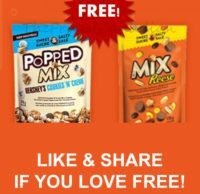 10,000 Free Bags Of Reese Snacks – Get Freebie Keep watching the NHL on Sportsnet, spot the URL and be quick to visit and claim a free bag while they last! Free John Frieda Sample Packs – Get Freebie Free Sample Pack includes Go Blonder Shampoo, Conditioner and the New Lemon Miracle Masque!